From The Crown to Downton Abbey, the country house speaks to our fantasies of rustic splendour, style, and escape. Featuring three hundred photos from the National Trust, this lavish book draws back the curtain on the finest and most important historic homes in England, Wales, Scotland, and Ireland, revealing these great houses' intriguing pasts, grand interiors, and vibrant reinventions for the enjoyment of modern-day visitors, residents, and armchair travellers. Locations include Knole, Cragside, Castle Howard, Chatsworth, Polesden Lacey, Petworth, Castle Bodiam, Blenheim, Longleat, and dozens more. 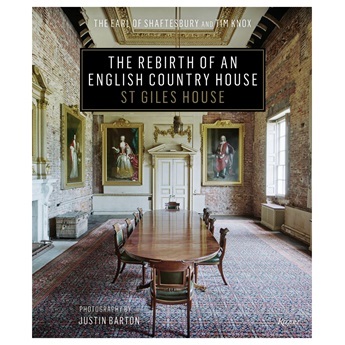 Illuminating essays by country house expert Jeremy Musson, legendary British author and historian David Cannadine, and contributing writers and scholars provide unique insight into centuries of life in a historic home. This is a rich visual resource for lovers of sumptuous interiors on a human scale, as well as grand exterior architecture and gorgeous landscapes. 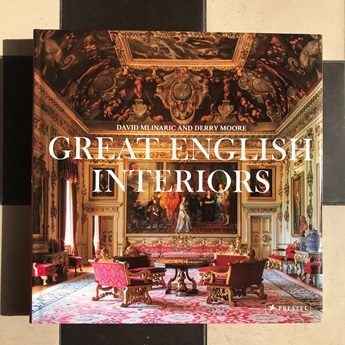 For Anglophiles, royal-watchers, and lovers of the country house lifestyle, architecture, and interior design, this is a magnificent new look at landmark British country houses, the treasures they contain, and how they speak to our fantasies of rustic splendour and escape today. Jeremy Musson is a leading commentator and author on the British country house and way of life. He was architectural editor of Country Life from 1998 to 2007, for which he wrote hundreds of articles on country houses and is still a contributor. As a former National Trust assistant curator he redecorated state rooms at Ickworth Park and curated Anglesey Abbey. Musson is the author of several books including English Country House Interiors, Robert Adam, The Drawing Room, The English Manor House, How to Read a Country House, and many more. He co-wrote and presented The Curious House Guest, a BBC2 series on important country houses in 2005-2006. Sir David Cannadine is a Director of the Royal Oak Foundation (the American arm of the National Trust in Britain) and a renowned British author and historian. He is the author of twelve books, including At the Summit of the World: the United Kingdom, 1800-1906, Margaret Thatcher: A Life, and The Right Kind of Past: Teaching History in Twentieth-Century England, and is the editor or co-editor of thirteen books. Sir Cannadine has taught at Oxford, Cambridge, Princeton, Yale, and NYU, and has served as a trustee or board member for many other historic organizations and societies.